in potential savings to the City. 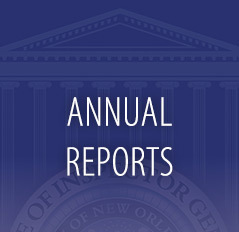 The New Orleans Office of Inspector General (OIG) released its 2018 Annual Report. 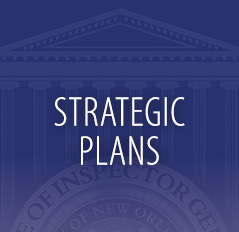 The OIG sends team members to community events and neighborhood meetings to explain our work and obtain feedback from citizens. Why is New Orleans a dangerous place for pedestrians? 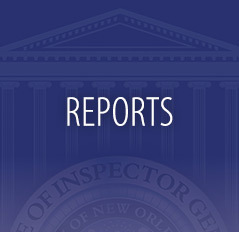 The mission of the Construction Fraud Division is to prevent and detect fraud, waste and abuse in public projects for the City of New Orleans, with a focus on construction of a nearly $1 billion terminal at Louis Armstrong New Orleans International Airport.